It’s no longer news that there many streets in urban communities of Nigeria doesn’t have electricity in weeks. This situation is even more appalling in rural communities where some of these villages don’t have an electric pole talk less of the hope of having electricity the next week. Prikkle Academy has been working for the past 5 months in one of such rural village without an electric pole in Vandeikya Local Government of Benue State, Nigeria. 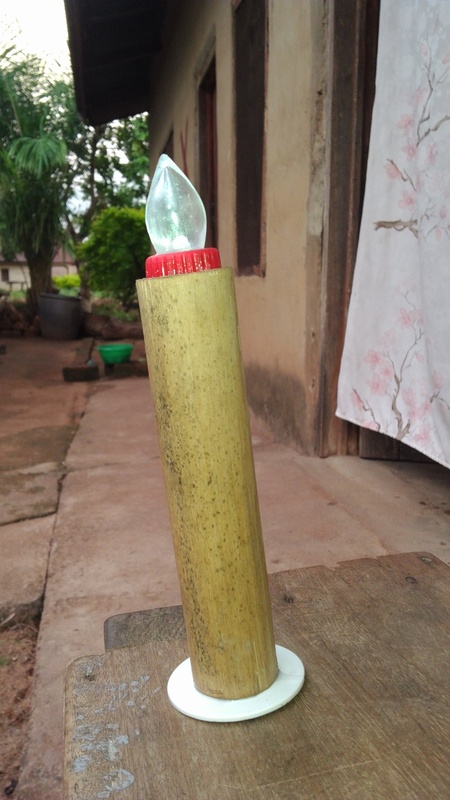 Among many innovative ideas that come out of this Academy, recently, we created a Bamboo Solar Lamps with 10 other rural youths to illuminate the darkness in the village. Prikkle Academy is a non-governmental organization that empowers rural youths to identify the individual strengths and community asset, then mobilize these to proffer sustainable solutions to their own problems. Some of the questions that Prikkle Academy always asks are, ‘What if we can translate our education and our dreams into tangible social solutions? What if we can use the resources within our immediate communities to create relevant breakthrough in our lives? In our #CollaborativeCommunity Project in Mbaagishi Community of Benue State, Nigeria, we have been able to identify people’s skills, education, talents and vision. Then, we have also explored the community assets that are crucial for the development of the community. After these discoveries, the next thing is to mobilize these resources together to create a solution that is useful for the community. Two of the major assets in this the community is the Sun (like in many other places) and Bamboo trees, of which these two resources are excellent potentials to use to create homegrown renewable energy. The large farmland of bamboo lie within the community and are sold for very ridiculous prices or even for free to contractors from big cities. We decided to find out how we can use this bamboo within the community to solve one of the societal issues that seemed insurmountable. By thinking together with the participants, we decided to create solar lamps made of bamboo for use within the community. With the basic hand tools within the community, we began to cut down the bamboo, we shaped, carved, scraped and fashioned. Everyone’s creative juice began to flow. The ingenuity within every participant began to find full expression. For the first time, it felt like the giant in each person rose up, awake and alert. Another exciting thing about this new project is that it will help us to be environmentally conscious; it could lead to the creation of new jobs and mastering of new skills that will be useful for other advanced projects in the future. 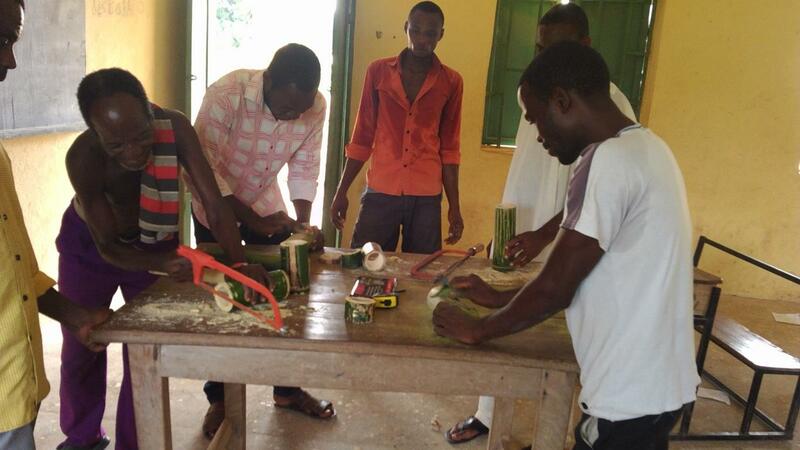 The thought-storming session led to the first ever design of bamboo solar lamps in Benue State, Nigeria. We are excited about the platform that Prikkle Academy is creating to help other possibilities emerge from rural communities and especially through young people in the country. As a nation, we expect education to prepare young people for the world of work and for economic independence; to enable them to live constructively in responsible communities and to enable them to live in a tolerant, culturally diverse and rapidly changing society. Perhaps above all, we expect education to help young people to build lives that have meaning and purpose in a future we can scarcely predict. With this kind of initiative, we will be able to practically see the relevance of education and lifelong learning in transforming skill, talents and expertise into solutions needed in our communities. This will also inspire youths to embrace innovation and creative approaches to learning and inventing sustainable impact.